On our way to Australia to meet up with Jason, we arranged for me and the girls to have a 3 day layover in Singapore. I knew very little about the city-state before arriving, having spent all of my research and planning on our month-long Australia adventure, so I was surprised to find myself in an incredibly clean, English speaking, cosmopolitan city full of friendly people. I was fortunate that our cab driver from the airport was patient enough to share a lot of the history of Singapore, it’s ethnic make up, and how it became an independent city. 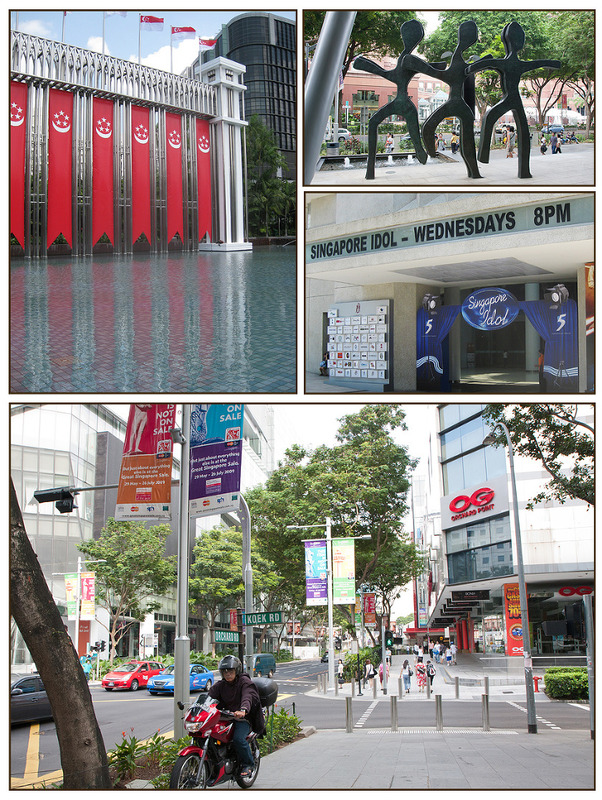 We spent most of our short time in Singapore walking around with the double stroller and exploring. We walked to Little India and had some amazing food served on banana leaves instead of plates. We walked down to the river and had ice cream and engaged in my personal favorite traveling activity; people watching. When I initially brought my walking map to the front desk clerk at our hotel and asked him which neighborhoods or areas I needed to avoid before I set off, he looked at me like I was crazy. “There are no areas which are unsafe to walk!” he told me. 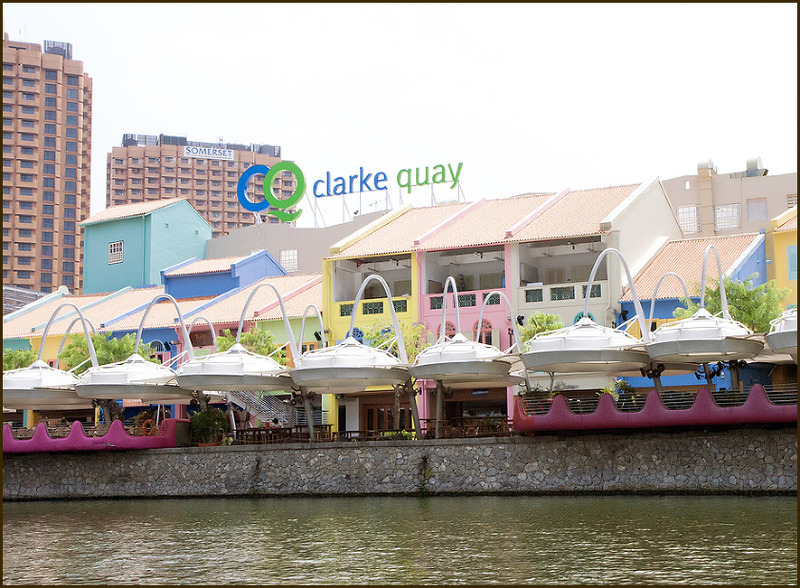 One of the nicest things we did on that first day was to hop on a boat at Clarke Quay and take a tour of the bay. It was a great way to see a good portion of the city; the colorful, immaculate buildings, different districts, and the famous Merlion fountain. When I found out we were stopping in Singapore everyone told me that there was a fantastic zoo there I needed to check out. 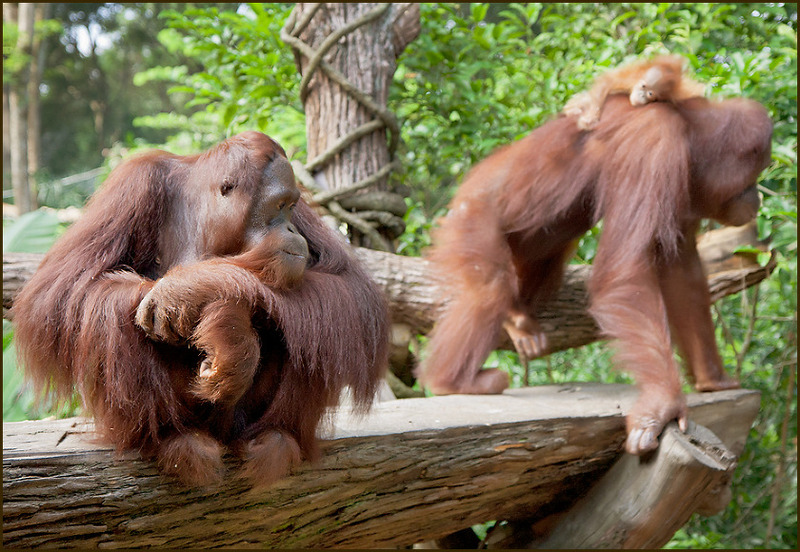 I signed up for the “Breakfast with Orangutans” and we got up at dawn to make it on time. It turned out to be a lovely and relaxing buffet meal with lots of fresh fruit, and the presence of the orangutans and their adorable babies was exciting for the girls. Skye even got to touch her first snake! After we ate, the insane heat and humidity descended and we had a sweaty but fun day feeding giraffes, watching elephants paint pictures, and various other animals in lush and well kept enclosures. Finally it was off to the airport for the next leg of our journey. The Singapore airport is the most family-friendly airport I have ever traveled in. Wonderful food, play areas, a movie theater, and a policy that lets you move to the front of the line if you are traveling with children. I wish all airports were this nice!